People frequently speak of the kitchen as the heart of the home. This saying occurs from the fact that we put in many of our time in our kitchens, and even through events and gatherings, guests and family often descend there. Its compelling draw comes from its capacity for warmth, of good food, and a space to appreciate the company of friends and loved ones. When the kitchen starts to show some wearing through, it may be time for an upgrading. Changing a complete kitchen is costly and may not be the best selection. But there are smaller renovations, including the countertops, that can make a great difference in the functionality and aesthetic attractiveness of one of the most chief rooms in the house. 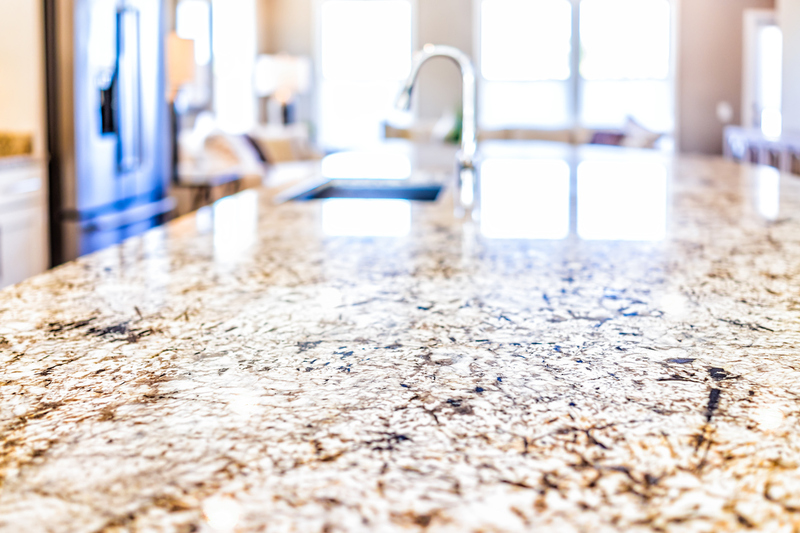 Attractive countertops can raise the quality and appeal of a Troy rental property far beyond the amount of the investment. Countless would-be tenants will search for an abode that tenders both loveliness and utility, specifically if they are preparing to dwell for numerous years. Sturdy, beautiful surfaces are a great investment in the future of your rental property and in the gratification of your tenants. In the past, classy countertops came with a high-end price tag. Many earlier homes throughout Troy reveal this reality, as they often hold laminate or other countertop surfaces that set about to crack and peel with time. At present, however, there are methods to acquire that high-end countertop semblance at a reasonable price. Surprisingly, granite countertops can be an affordable selection, especially if you can procure it directly from the manufacturer. Granite is well-known due to its glossy surface and durable, natural aspect. Composite quartz is another different popular option that is reasonably priced and can tender a range of colors that can enliven up a room with ease. Solid surface composite is an engineered element that can be put together to look like natural stone at a small part of the current rate. Soapstone, travertine, marble, or other natural stones are steep and can be arduous to sustain. But a composite spit and image can present the strength and aesthetic appeal you need, all at a rational price. At Real Property Management Metro Detroit, we have the industry links to renew your countertops swiftly and at an achievable rate. Your Troy tenants will be positively delighted with the impact. Would you like to learn more? Please contact us online or call us at 248-808-6550 for more information.